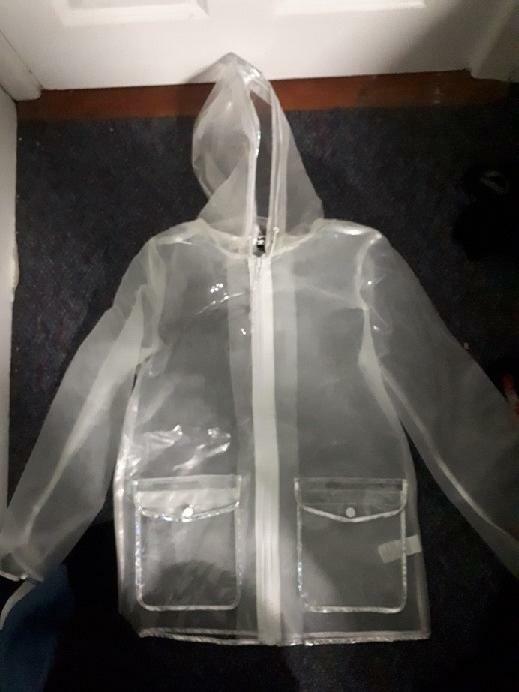 How to restore shine to clear raincoat gone cloudy? I have a raincoat that used to be clear but has gone cloudy. I didn't use it very much so I stored it in a cool dry place, so I'm not sure what caused it to go cloudy. Does anyone know how to clean away the cloudy texture and make it clear and shiny again? I have tried washing up liquid and then a solution of baking powder but got limited results with both methods. Re: How to restore shine to clear raincoat gone cloudy? Unless someone with an identical experience steps in, who has either solved or failed to solve a similar problem, you can do a bit of experimenting. The cloudiness will either be a surface effect or a change through the whole thickness. If the latter, there is essentially nothing you can do except accept it. So, investigate the surface. Get a small amount of oil such as baby oil and apply a small amount with a Q tip to both sides of an inconspicuous part of the coat and rub it in. If it is a surface effect, then it should become more transparent with an oil smear. If it stays cloudy then this first test suggests it is a bulk change. Wash the oil off with hand soap after. You could also try PVC restorer, such as that used for car interiors to bring the surface back up to (non) scratch. Again, test a small area. I am not sure you would want to do the whole garment if it works, because the PVC restorer smells a bit like furniture polish. These two tests are non abrasive and are designed to show if you have a surcfac effect. If you establish it is a surface effect then if the baby oil doesn't have an interfering smell you could apply it all over. The PVC restorer is used by some to put a polish on latex. Still investigating the surface, get a bit of car polish - the sort that claims to deal with micro-scratches and again polish a small area on both sides to see if there is an improvement. If there is and it is dramatic, you will have to decide whether you ant embark on the whole thing, which will take a lot of time and effort, especially getting into the nooks and crannies, not to mention the crooks and nannies. Another way is to try headlight restorer which attacks the cloudiness of headlights and they come in sachets with a piece of impregnated material that you can try rubbing on both sides. That might work. But its a lot of work. If none of these produce any effect then you are faced with the fact that is a bulk effect and there will be probably nothing you can do about it. If this is the case, then I would suspect some chemical deterioration involving the PVC plasticiser. 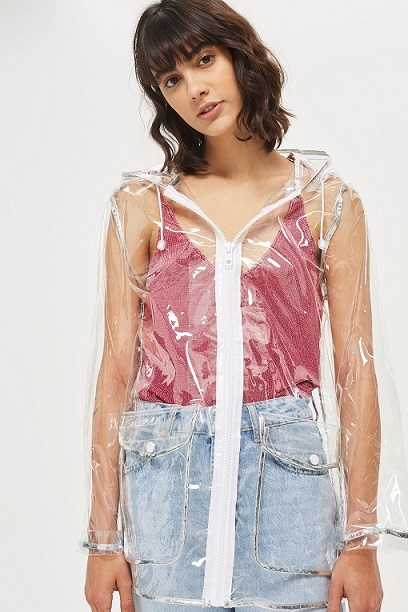 They are supposed to be stable but as far as raincoats are concerned, most experience is with the softness or otherwise of opaque coloured fabric and this transparent sort is less common. The 3rd solution is to accept the translucency as a bonus. Does that not contain a petrolium product? PVC is a very stable product if not exposed to high temperatures or UV or ozone. In France I can buy hydrochloric & sulphuric acid and caustic soda in PVC bottles, for unblocking brains made of PVC. PV C is also resistant to most solvents, incl petroleum derivatives and its main enemy is acetone (nail varnish) which dissolves it. However, I would agree that car polish might have a petroleum product in it and although the car polish I have comes in a PVC bottle (without stating ingredients), I would advise a final wash with lukewarm water and hand soap, if you have applied any car polish. I've got the same coat and the same problem! Thanks for the hints everyone. Got the same with my clear pvc trousers/ jeans. I think it happens with big temperature changes.